IBM® QRadar® is recognized as a leader by multiple independent analyst firms. Check out the analyst reports below to understand why IBM QRadar continues to extend its leadership position as a security intelligence and analytics platform. 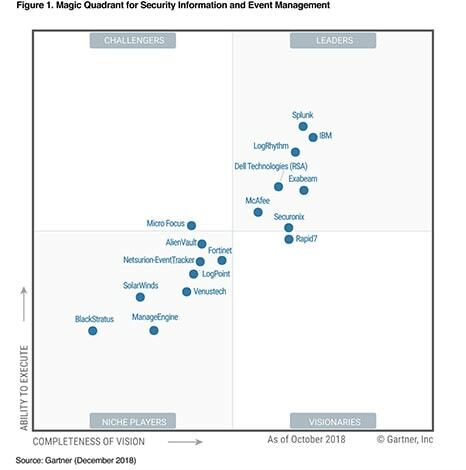 For the 10th year in a row, Gartner has positioned IBM as a Leader in the Gartner Magic Quadrant for Security Information and Event Management (SIEM), ranking among vendors such as Splunk and LogRhythm. 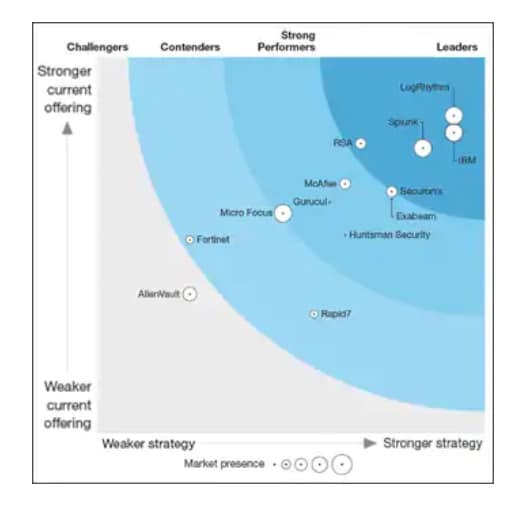 Forrester analysts rank IBM QRadar as Leader, once again, across 30 criteria - including flexibility, scalability, real-time monitoring, integrated network analysis and visibility - in the new Forrester Wave™ for Security Analytics Platforms. What makes QRadar so special?